If you’re not yet a pro, it can be confusing to know which of your camera functions you should be choosing: aperture priority? Shutter priority? Program mode? Any of those other little icons on the dial? 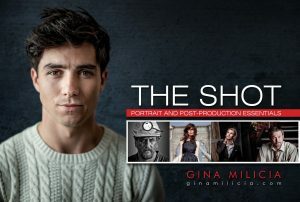 In this episode, Gina breaks down her approach to taking pics like a pro. It’s a simple framework that will help you got off auto and onto the manual mode of your camera – with confidence. 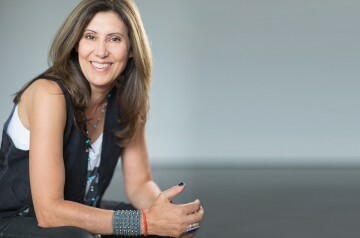 Note from Valerie: “Gina explains this is a such a straightforward way that she demystifies which buttons and icons matter – and which don’t. 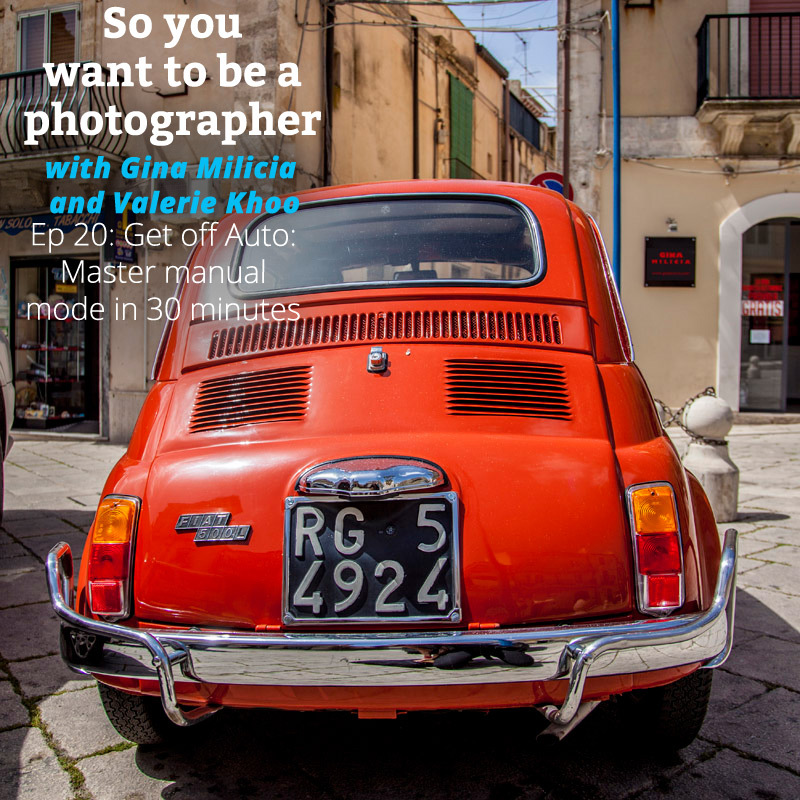 You’ll be shooting on manual in 30 minutes.” And this week’s theme for #ginachallenge is to shoot anything in manual mode. 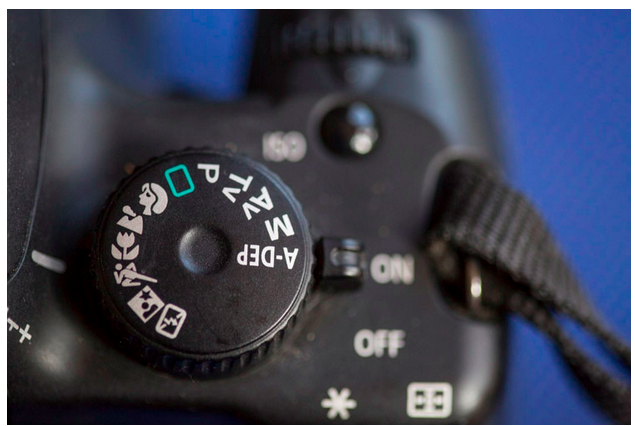 How to confidently take control of your cameras manual mode to create the look you want. The camera has no way of knowing what your intention is or allows for any creative input. Auto modes are designed to give the best average, not necessarily the best outcome. Goodness knows why the different manufacturers couldn’t just standardise the symbols and abbreviations! But you end with an image based on the predetermined formula developed by “Hans”. Useless setting. It’s should stand for “Pretend”. Like you’re “pretending to be a photographer”. Like riding a bike with the training wheels still on. Popular mode. Used by many enthusiasts and many pro photographers. You set the aperture (the f-stop) and also the ISO. The camera will then set a shutter speed so image is correctly exposed. It’s easy to use and makes you feel like you have creative control. Possibly the most useless of camera modes. It’s like the egg tray in a fridge – what’s it there for? Here, you are in the drivers seat and control everything. Select your f stop or aperture based on how you want your shot to look. How do you want your shot to look? Ansel Adams-esque landscape: you want sharp from foreground to background. Group of people: you want them all to be sharp. Imagine that the numbers or f-stop represent how many parts of the photo are going to be sharp. A low number like 2.8 or 4 is going to have fewer items in focus than a higher f stop of 11, 16 or 22. Genius! So if you want to shoot a portrait and only want the eyes sharp: then you’d select a lower aperture. Slow shutter speed is great for things like landscapes with running water, the slow shutter speed will gives a silky appearance to the water. A slow shutter speed makes fast moving objects look like streaks. Think of your shutter speed as a car’s speedometer in km or miles per hour. The higher the number the faster the speed. So if something is going really fast and you want to freeze the motion use a high shutter speed over 1/250th sec. The higher the ISO number the more light sensitive your file. Think of the ISO value as numbers of light bulbs. But note that the higher the ISO the grainier or more noise in the image so be conservative. Now let’s bring it all together! Step 3. Select shutter speed based on whether you want to freeze motion or show movement. Step 4: Use your camera’s meter to help you get a correct reading and adjust your shutter speed until you have the correct setting. Step 5: Take the shot! Congratulations – you’re now shooting in manual mode.